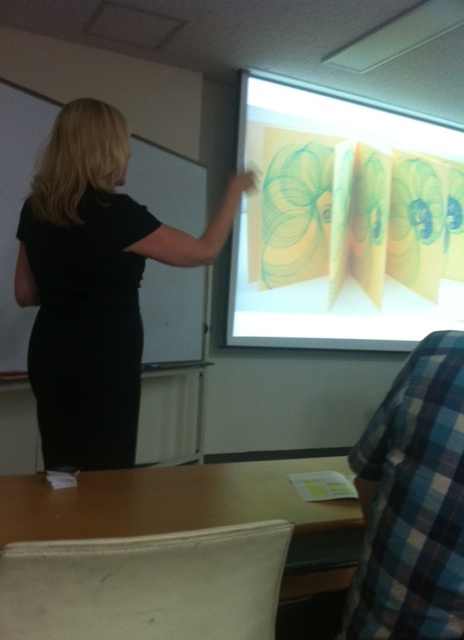 Presenting on Mathematical Sequences and Artists’ Books at the Bridges Math Art Conference today. 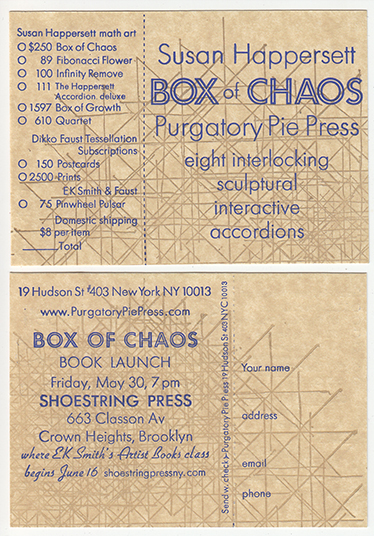 I hope to see many of you at the launch party for my newest book, in collaboration with Purgatory Pie Press: “Box of Chaos” (eight interlocking sculptural interactive accordions). 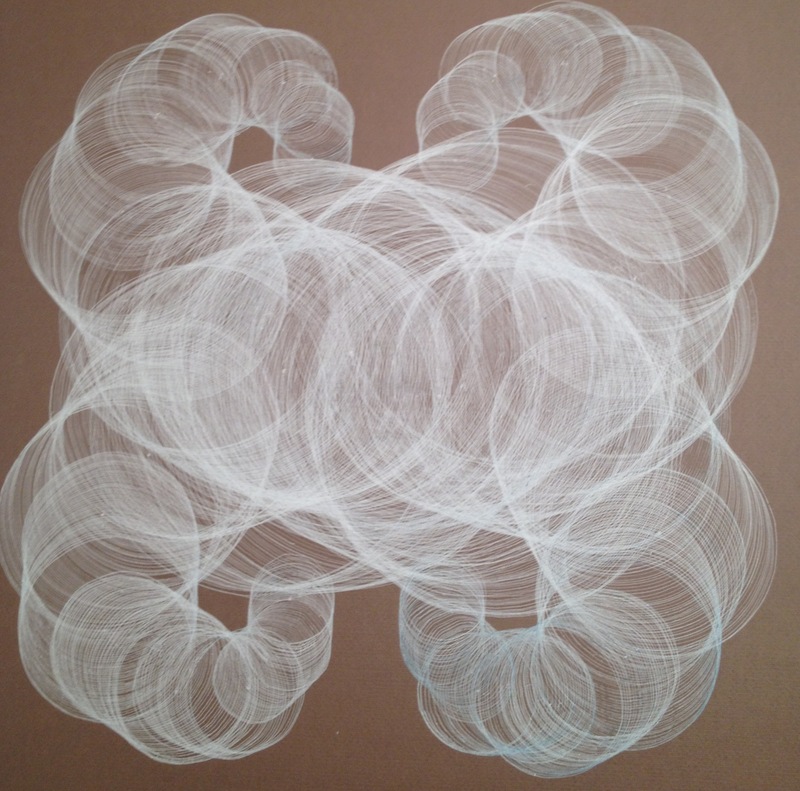 Just finished a new Circle Curve drawing. Ink still wet. Artist Susan Happersett of Jersey City, N.J., has come up with a novel twist on the venerable Möbius strip: a playful, eye-catching creation she describes as a Möbius accordion. A Möbius strip, or band, is the remarkable one-sided surface that results from joining together the two ends of a long strip of paper after twisting one end 180 degrees. 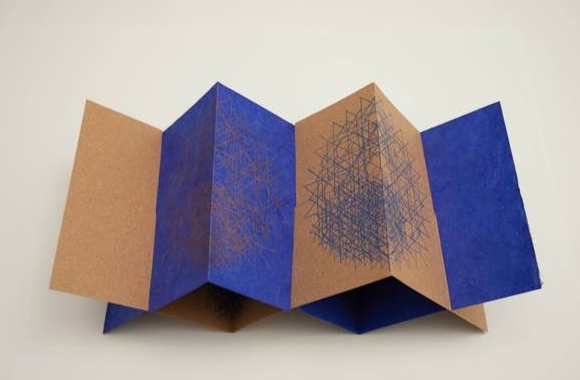 Mathematicians, magicians, artists, and many others have been playing with this intriguing object since its discovery in the 19th century by August Ferdinand Möbius (1790–1868), a professor at the University of Leipzig in Germany. 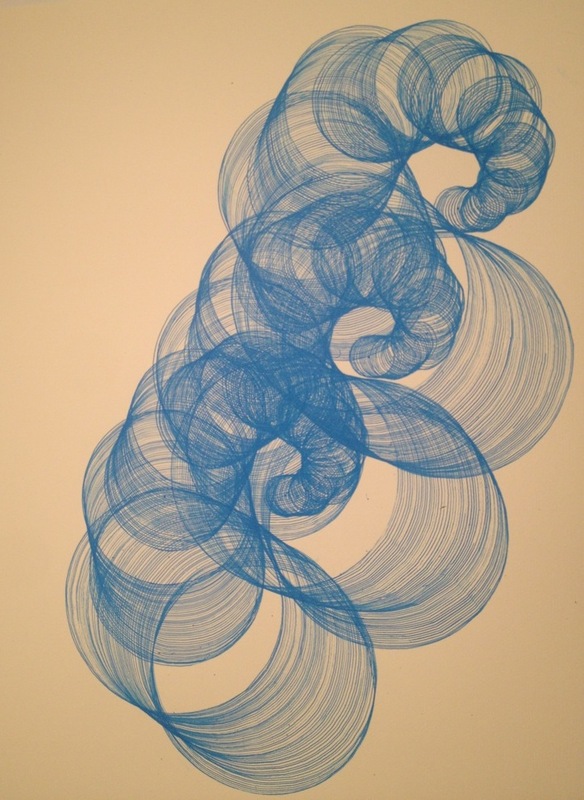 Happersett combines her interest in mathematics with a passion for visual art. In the 1980s, as an undergraduate working toward a degree in mathematics at Drew University in Madison, N.J., she found herself particularly intrigued by courses on symbolic logic and infinity. She also enjoyed an art course that involved going to New York City to visit galleries, museums, and artist’s studios.